Marketing 3.0 is a handbook to the marketing strategies of tomorrow. These blinks explain how old tactics have grown outdated as people search for meaning in their lives and the companies that can provide it. Read on to learn how you can adapt your marketing strategy to the changing nature of consumer preferences. 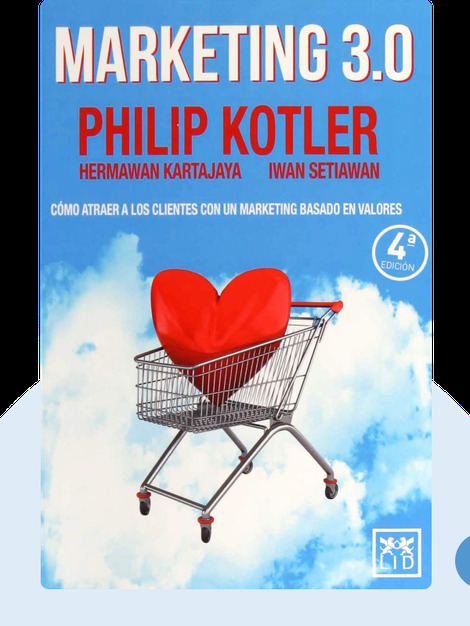 Professor Philip Kotler is a former director of the American Marketing Association and is known as one of modern marketing’s founding fathers. He teaches international marketing at the Kellogg School of Management at Northwestern University. Hermawan Kartajaya is president of the World Marketing Association.. He has published five books with Philip Kotler and is the founder of MarkPlus Inc., a marketing consulting agency active in Southeast Asia. Iwan Setiawan is Chief Knowledge Officer at MarkPlus, Inc.
Philip Kotler, Hermawan Kartajaya, Iwan Setiawan: Marketing 3.0 copyright 2010, John Wiley & Sons Inc. Used by permission of John Wiley & Sons Inc. and shall not be made available to any unauthorized third parties.